John Suchet plays a track from his featured album at 10.15am every weekday. Discover the incredible journey of Rami, the violinist who has travelled against all odds from Syria to safety. In 2015 Rami was studying at music school in Homs, Syria. As the war developed, he knew he had to leave. At just 21 years old, Rami has travelled from Syria through Lebanon, Turkey, Greece, Serbia, Hungary and Austria, on foot and by boat. On occasions, Rami had to swim and run for his life, but with his violin wrapped in cling film, Rami managed to keep his violin safe throughout his traumatic journey. He has now found refuge in Germany, and has been taken in by a caring musical family. This album brings together traditional music from the East and West. My Journey also includes Rami’s beautiful Arabic-influenced version of ‘Ode to Joy – Anthem for Europe’ by Beethoven, the track he played to refugees in a camp on the Macedonia border. The single, ‘Ode to Joy – Anthem for Europe’ will be released digitally to accompany the release, supporting the British Red Cross as part of Red Cross awareness week. Discover the hidden voices of Norway…. And the girls who inspired Frozen! Escape to a place of serenity with Cantus, the choir discovered by Disney producers and featured on the hit highest-grossing animated film of all time, Frozen. The Norwegian all-female choir are now ranked as one of the leading choirs in the world by Interkulture. Made up of 30 singers from Trondheim, members of Cantus are aged between 20 and 40, ranging from students to nurses, to firefighters, teachers and architects. Their outfits - called Bunads - are inspired by the costumes in Frozen. 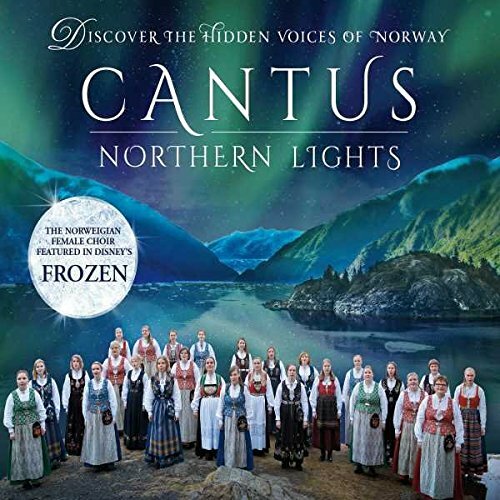 The brand new album Northern Lights, features ‘Vuelie’, the opening track from Frozen, along with the beautiful traditional music of Norway, composed by Frode Fjeilheim. The album has been released to mark the National Day of Norway on May 17th. 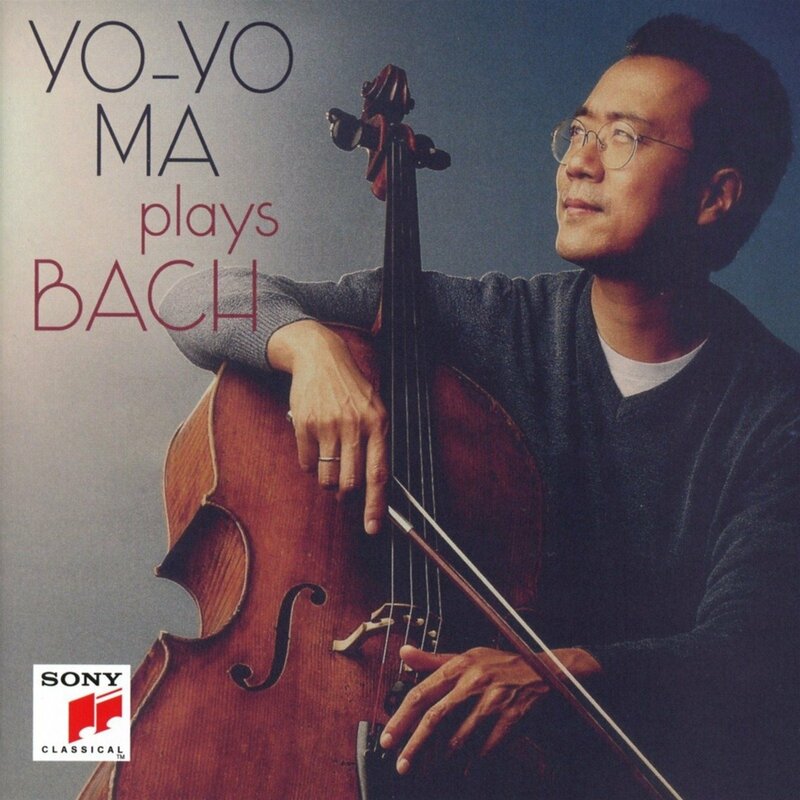 Yo-Yo Ma is one of the most admired musicians of today. He has played and recorded Bach throughout his distinguished career and this hugely enjoyable 80-minute reissue draws on recordings made over more than three decades. Many musicians are fascinated by Bach, not only as he would have been heard in his own time but in arrangements drawing on 20th-century insights. There are plenty of both here. No cellist of today plays the Cello Suites better than Ma. Here we get Suite No 3 in a state-of-the-art recording that fully reveals Ma's glorious tone. The Sonata For Cello And Harpsichord also receives the most persuasive advocacy. Especially agreeable are the sophisticated arrangements (by baroque specialist Ton Koopman) of popular stuff such as the Air and Jesu, Joy Of Man's Desiring. I could do without Bobby McFerrin's execrable warbling on another version of the Air. But John Corigliano's Fancy On A Bach Air For Solo Cello is enjoyable. This CD will give pleasure to specialists and beginners alike. Purchase and download from Amazon here. Neither Claus Peter Flor nor the Bamberg Symphony Orchestra are exactly names to conjure with. But this Mendelssohn set, recorded in excellent sound in the late 80s –mid 90s, is exceptional. It represents excellent value, with eight hours of music on 6 CDs, costing around £13. 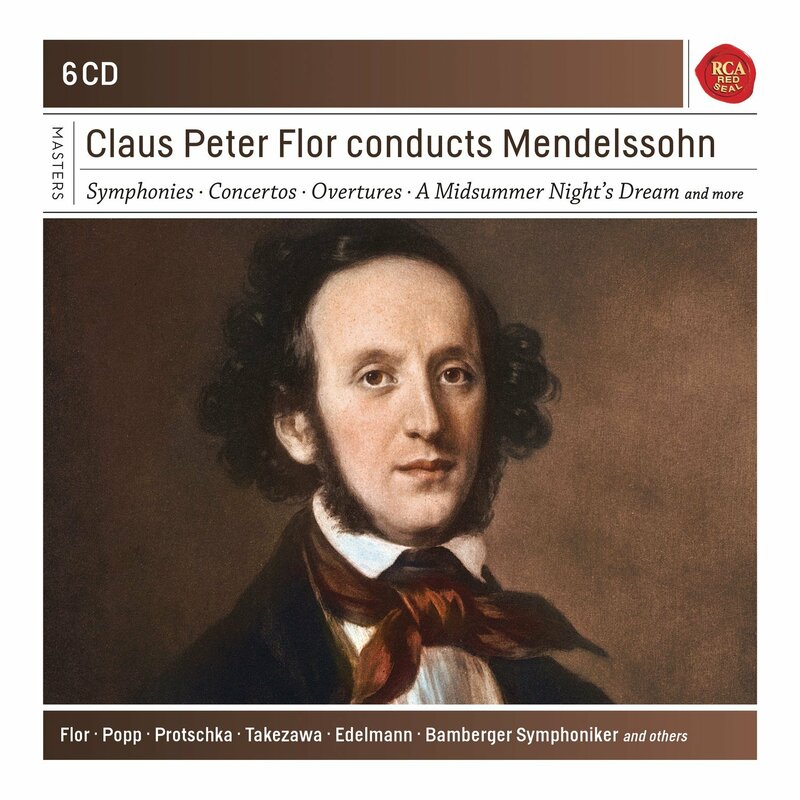 For this modest price you get Mendelssohn’s five symphonies; 6 overtures; the Violin Concerto; both piano concertos; Die Erste Walpurgisnacht and the complete incidental music to A Midsummer Night’s Dream, featuring the distinguished soprano Lucia Popp and the mezzo Marjana Lipovšek, that remains one of the finest available at any price. The orchestra was set up just after the War in the picturesque Bavarian town of Bamberg by refugee musicians from Eastern Europe. It has a first class reputation in Germany. Claus Peter Flor seemed to have a great future when these recordings were made. It’s a surprise we don’t hear more of him, because this set proves just what a talent he had, with tempi and dynamics throughout perfectly judged. 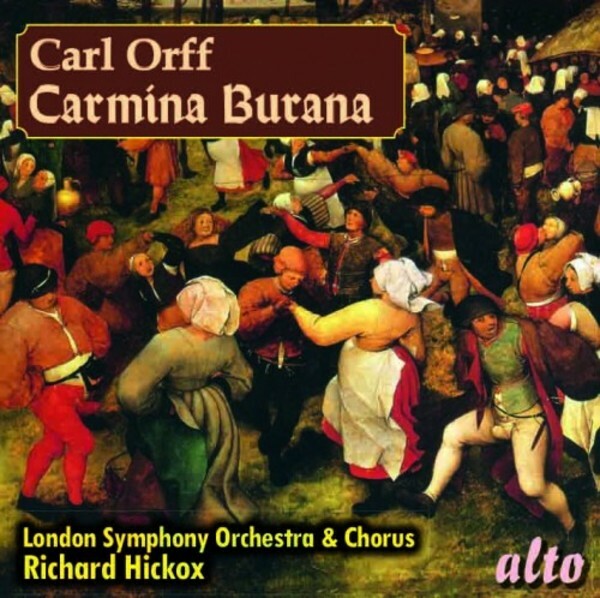 This Carmina Burana was exceptionally well received when it came out on the now deceased Pickwick label in 1986. It was praised for the conducting of Richard Hickox, the singing of the LSO chorus (of which he was once Chorus Director, and they understood each other very well), and especially the contribution of the soloists, notably the soprano Penelope Walmsley-Clark. The Gramophone magazine at the time said that the “Soprano makes a rapturous contribution … delectable, ravishing climaxes”. The sound too was showered with bouquets, and this was regarded as an exceptional issue at Pickwick’s modest price. This still is a good bargain, and most of the comments from thirty years ago still hold true. Even if it had been recorded yesterday afternoon, it’s doubtful it could sound much better than it does. My one disappointment is that the Alto catalogue, which is full of good things, now appears to be more pricy than it used to be. However, I have just managed to find it online for £5.50, and at this sort of price it remains an extremely desirable acquisition.